Arsenal have been dealt a fresh injury blow with the news that Alex Oxlade-Chamberlain is facing a spell on the sidelines with knee and ankle injuries, according to the Mirror. Oxlade-Chamberlain started against Barcelona in our Champions League clash on Tuesday night but was forced off shortly after the break following a collision with Javier Mascherano. The 22-year-old was seen leaving the Emirates on crutches with his right leg heavily strapped and the Mirror claim the midfielder has suffered knee ligament damage as well as a separate ankle injury. Arsene Wenger confirmed in his team news update on Arsenal.com earlier that The Ox is having scans today to determine the full extent of the injury but he’s already been ruled out of Sunday’s trip to Manchester United. However, it looks like we could be without the midfielder for much longer as the Mirror suggest Arsenal fear Oxlade-Chamberlain is set for an extended spell on the sidelines which could keep him out until early April. If those fears are realised, it would be a significant blow to Arsenal as we head in to the business end of the season looking to secure our first Premier League title since 2004 and reclaim the FA Cup for a record third consecutive season. It would also be a major blow to Oxlade-Chamberlain as this has been yet another frustrating campaign for the midfielder with many feeling he hasn’t progressed since joining the club from Southampton in 2011. 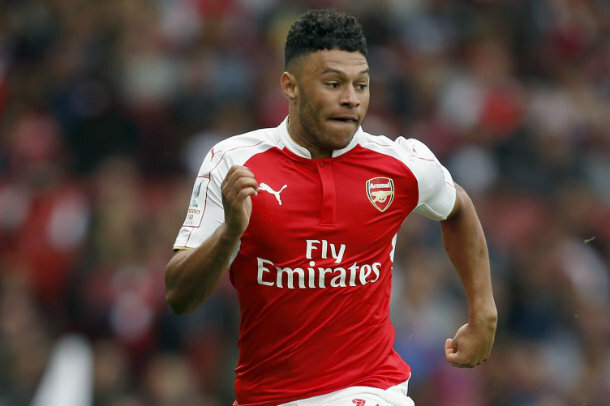 If The Ox is ruled out for a couple of months, then it would also leave him in a race against time to get himself fit ahead of this summers European Championships in France, so let’s hope for positive news when the scan results come back.